Thread Size: 1/8" to 3"
We manufacture stainless steel Bulkhead Reducing Union which are known for there quality and performance standards. 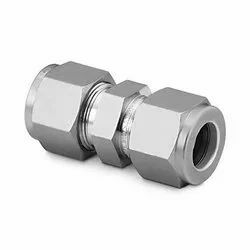 HITCO SS UNION, for Structure Pipe, Size: 1/4" To 4"
Thread Size: BSP 1/4" TO 4"
We Simplex Metals and Alloys a prominent manufacturer, supplier and exporter of precision pipes and fittings procured from reliable vendors. Our products are at par with international standard to meet all the demands.